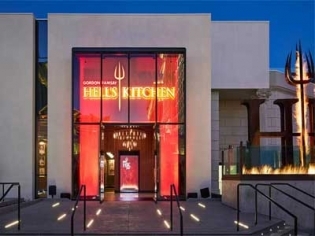 This is the first Gordon Ramsay Hell’s Kitchen restaurant. Fans of the long-running hit TV series will love this new venue from the famous fiery chef. The décor makes you feel like you are on the set with 2 show kitchens in the customary red and blue design. Signature dishes like Beef Wellington, Eggs in Purgatory, the Hell’s Kitchen burger and Sticky Toffee Pudding are sure to delight even the pickiest fans. There is an extensive cocktail and wine menu to pair with your entrée choice. Winner of many awards, it’s already the hottest kitchen in town! Prix fixe menus range from 3 to 5 courses and from $80 – $175. Wine parings also available.